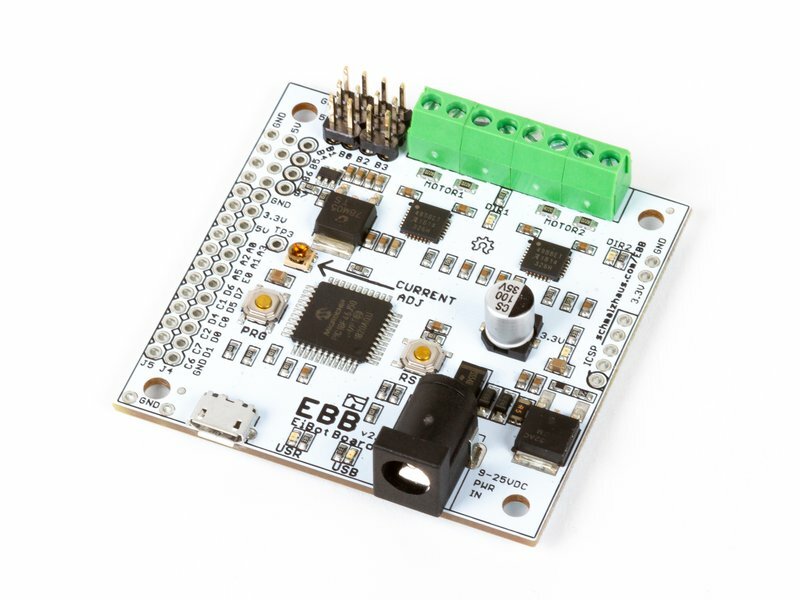 The EiBotBoard ("EBB") is a USB-based dual stepper motor controller board that is useful for many general purpose robotics applications. 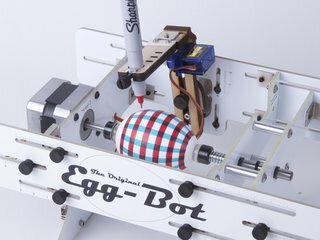 Originally designed for the EggBot project, it is the "brain" of all current models of the EggBot, but also of the AxiDraw and WaterColorBot as well. The EBB was designed by Brian Schmalz of Schmalz Haus LLC. 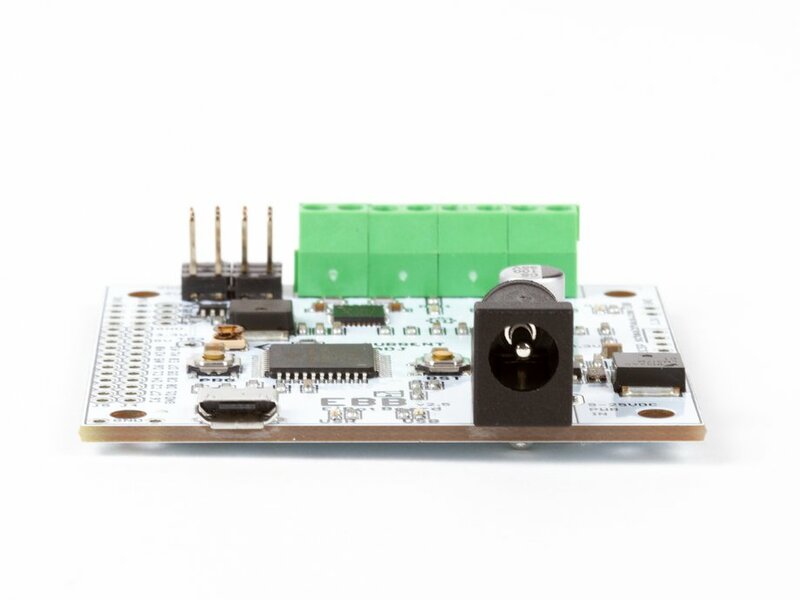 It is an open source (in both hardware and software), PIC18F46J50-based motor controller board. 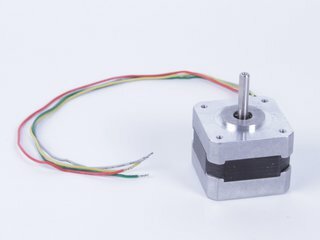 Standard features include two Allegro A4983 16X microstepping motor drivers for bipolar steppers. 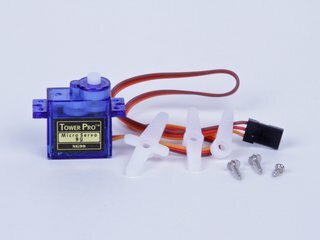 It also has a separate onboard regulator to power up to two hobby servo motors. 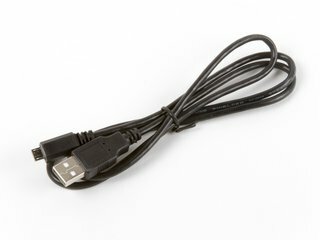 It is 2.2 x 2.2 inches square (5.6 x 5.6 cm). 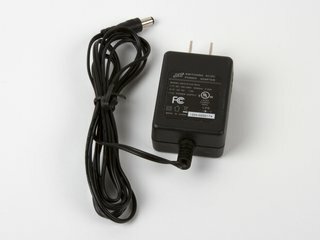 Works well with our 9 V 1.5 A power supply. 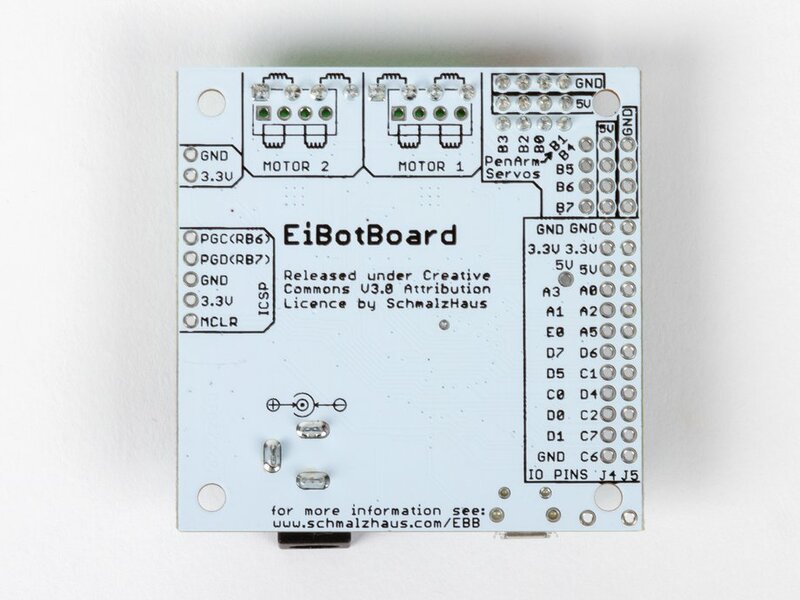 Hardware documentation about EBB boards is available at schmalzhaus.com. 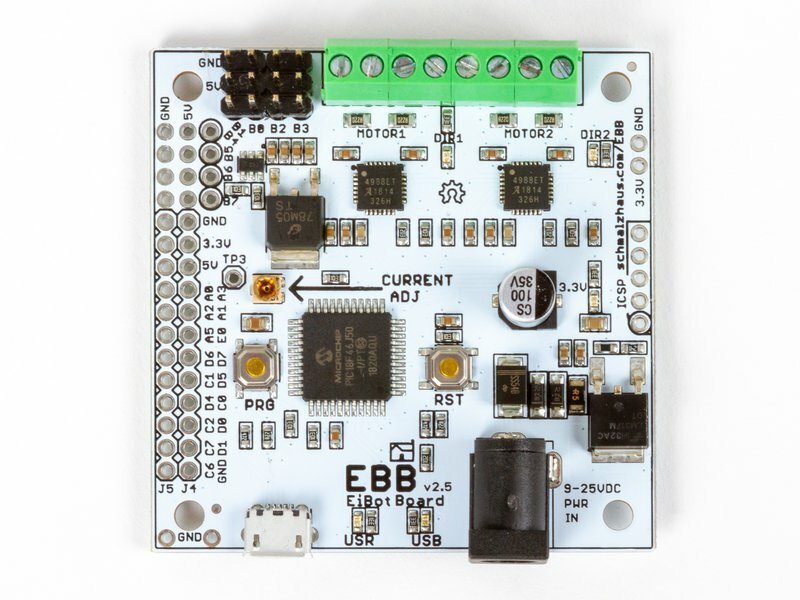 EBB serial command documentation is available at github. 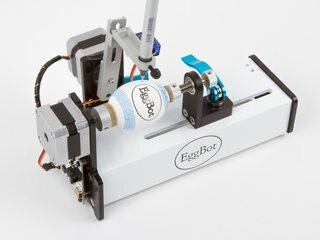 We are currently shipping version 2.5 of the EBB, which features several improvements for reliability. 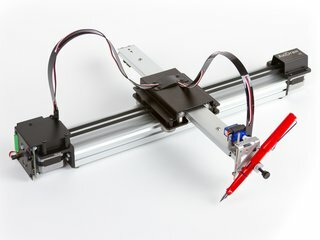 Version 2.5 uses a standard USB micro connector and has a new feature that automatically turns off power to the pen-lift servo motor after 15 minutes of inactivity. You can change the timeout duration or disable this feature using the serial command protocol.